Artist Rachel Sussman has traveled around the world to photograph organisms—trees, lichens, bacteria—that are 2,000 or more years old. 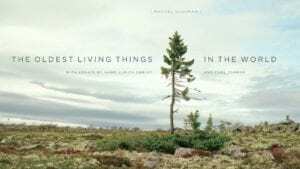 Confronting lives that extend so much longer than human lifespans challenges us to rethink the context of our human communities and the more-than-human environments into which we are embedded. What does it mean to take a picture of a 4,000-year-old tree at a fraction of a second? How has human intervention in nature given rise to a new geological age? Sussman, a LACMA Lab Artist and author of the New York Times bestseller, The Oldest Living Things in the World, and Ursula K. Heise, a professor in the Department of English and the Institute of Environment and Sustainability at UCLA, will discuss these questions of nature, technology, and our understanding of time to the backdrop of Sussman’s stunning images. Rachel Sussman is a contemporary artist based in Brooklyn. Her photographs and writing have been featured in the New York Times, Wall Street Journal, Guardian, and NPR’s Picture Show. 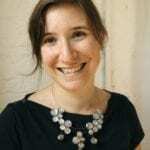 She has spoken on the TED main stage and at the Long Now Foundation, is a MacDowell Colony and NYFA Fellow and is a trained member of Al Gore’s Climate Reality Leadership Corps. Her work has been exhibited in museums and galleries in the US and Europe, and acquired for museum, university, corporate, and private collections. She is fiscally sponsored by the Brooklyn Arts Council. 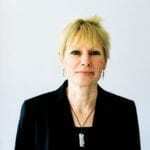 Ursula K. Heise is the Marcia H. Howard Professor in the Department of English and at the Institute of the Environment and Sustainability at UCLA, and a 2011 Guggenheim Fellow. 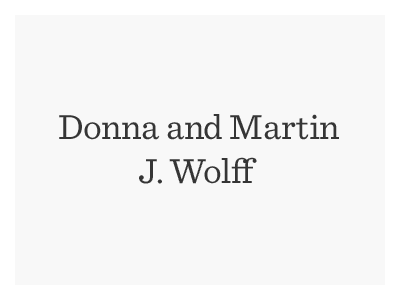 She served as President of the Association for the Study of Literature and the Environment in 2011. Her research and teaching focus on contemporary literature and environmental culture in the Americas, Western Europe and Japan, and on literature and science. Her books include Chronoschisms: Time, Narrative, and Postmodernism, Sense of Place and Sense of Planet: The Environmental Imagination of the Global, and Nach der Natur: Das Artensterben und die moderne Kultur (After Nature: Species Extinction and Modern Culture.) Her new book, Imagining Extinction: The Cultural Meanings of Endangered Species, is coming out from the University of Chicago Press in 2016. As most ALOUD at Central Library programs are free of charge, it is our policy to overbook. In the case of a FULL program your free reservation may not guarantee admission. We recommend arriving early. Space permitting, unclaimed reservations will be released to standby patrons at approximately 7 PM. Standby numbers are distributed in person only one hour before the program, on a first-come, first-served, basis. There is no advance wait list for full programs. Standby patrons will be admitted subject to availability. Most programs will be available via podcast. ALOUD is one of many free programs at the Los Angeles Public Library made possible by the Library Foundation of Los Angeles. Most ALOUD author programs are followed by book signings. At least one copy of the author’s book must be purchased from The Library Store in order to participate in any post-program book signing, and you will be asked to show proof of purchase. Please be prepared to show your proof of purchase when you enter the book signing line. Proceeds support the Los Angeles Public Library. A book signing follows most author programs. We encourage you to purchase your book through the Library Store, as the proceeds benefit the Los Angeles Public Library. Library Associates receive 15% off purchases made through the Library Store. Book purchases will be available for pick-up the night of the event. What is the reservation policy for ALOUD? As most ALOUD at Central Library programs are free of charge, it is our policy to overbook. In the case of a FULL program your free reservation may not guarantee admission. We recommend arriving early. Space permitting, unclaimed reservations will be released to standby patrons at 7 PM. Why do programs fill so quickly? ALOUD provides a unique experience for the public to engage with scholars, authors, and artists in the intimate 235-seat Mark Taper Auditorium. 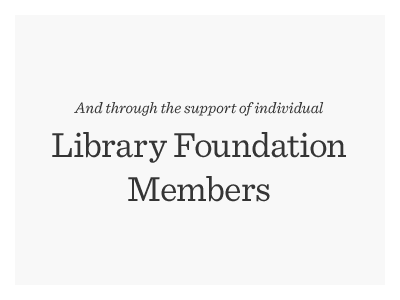 Library Foundation Members have the benefit of reserving for programs in advance of the public. Consider joining as a Member to receive this benefit, and check the website on an on-going basis for program availability. Be sure to subscribe to our email alerts, and visit our Media Archive for podcasts and other items from our recent programs. Where does ALOUD take place? Unless otherwise noted, ALOUD programs are held at the downtown Central Library’s Mark Taper Auditorium. Where should I park for ALOUD programs? We recommend taking public transportation. Parking for the Central Library is at the Westlawn Garage at 524 S. Flower Street. For more information, visit the Library’s website. Should I purchase the author’s book in advance? We encourage you to purchase books from the Library Store. All proceeds benefit the Los Angeles Public Library. Books are made available for purchase when you reserve for a program online, and are also on sale at programs. In order to participate in the book signing, you must purchase at least one book from The Library Store. Members receive discounts on purchases.